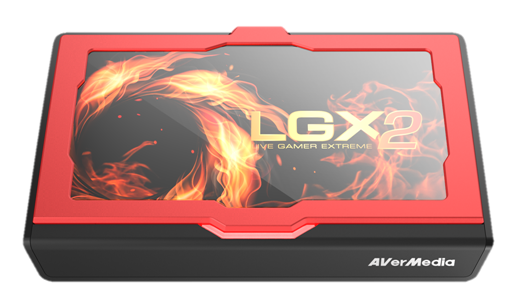 AVerMedia Technologies, Inc., the leading provider of digital multimedia technology, is pleased to announce the launch of Live Gamer EXTREME 2, a capture box for content creators and streamers who want to record or broadcast smooth Full HD gameplay while still be able to play Ultra HD games on their 4K screens. Live Gamer EXTREME 2 (LGX2), the successor of the vastly-popular Live Gamer EXTREME (LGX), is a game capture box capable of recording/streaming 1080p60 gameplay from PC or game console while allowing stunning 4Kp60 visuals via its pass-through technology. The LGX2 also inherited the Ultra-Low Latency capability from the LGX which allows for uncompressed data capturing with near-zero latency. This instant viewing greatly improves creators’ workflow and overall recording experience; streamers with one monitor can seamlessly play and broadcast fast-paced games right in the preview window with minimum lag. Moreover, the LGX2 comes with a double-bundle software—AVerMedia RECentral and CyberLink PowerDirector 15, providing an all-around, feature-packed tool for content creators to record, stream, edit, and share their precious videos. Creators can also utilize the LGX2’s removable lid and Cover Creator in RECentral to design one-of-a-kind covers and show off their styles and brands. For more information on product features, specifications, and system requirements, please visit our webpage here.